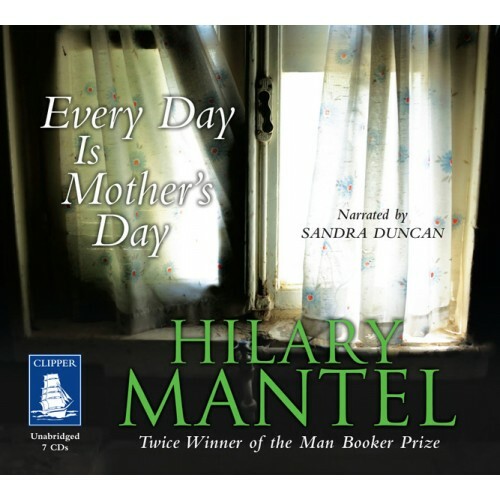 Every Day is Mother’s Day (1985) is an early novel by Hilary Mantel, now a the bestselling Booker Prize winner of Wolf Hall and Bring Up the Bodies fame. It is quite different in style to the Tudor novels, more like Beyond Black which I read and enjoyed for its sardonic humour in 2005. The ironic title refers to the battle of wills between Mrs Axon, the vicious mother of Muriel, who’s not too intellectually disabled to wage war of her own; and Isabel Field, the hapless social worker who’s completely out of her depth with this woman. Isabel is also having a lacklustre affair with a teacher called Colin Sydney, and she loses the file on the Axon case. Black humour charts impending disaster. Isabel briefly succeeds in getting some stimulation for Muriel at a sort of day centre, but that leads to a disaster only too common for intellectually disabled young women, and that’s when Mrs Axon shuts and bolts the door against any interference. It’s a grim book, but it shows Mantel’s early skill in characterisation, and her talent for poking fun at pretension. Sandra Duncan does a fine job of narrating the story. Thanks for reminding me about this book, Lisa. I’ve an ebook edition I’ve been meaning to read for ages. I can’t get into Mantel’s later work but I’ve read three or four of her earlier novels and really enjoyed them. We were fortunate enough to watch a 30-min interview with her on BBC4’s Culture Show on Saturday night (designed to promote her new short story collection), which I hope will be broadcast in Australia at some point. She’s worked damn hard over a very long period of time to get where she is, yet so many assume she’s an “overnight sensation”!